Welcome to the South where all the fun begins! Discover the quirky charms of South Carolina’s most popular family vacation destination. Myrtle Beach’s 97 kilometres of picturesque coastline, aptly called the “Grand Strand,” is most famous for its bustling beach atmosphere, replete with live entertainment, amusement parks, acclaimed seafood restaurants, great shopping and world-class golf. But the area also has a quieter side thanks to the beaches, wetlands and quaint fishing villages on its southernmost end. Take an extra- long weekend to explore both the upbeat and the serene sides of this beloved coastal area. Read the story: THREE DAYS In Myrtle Beach OR check out the entire March issue of the magazine. This article can be found on pages 23-25. Did you know that "The Shag" originated in either North or South Carolina during the jitterbug-era of the 1940s? 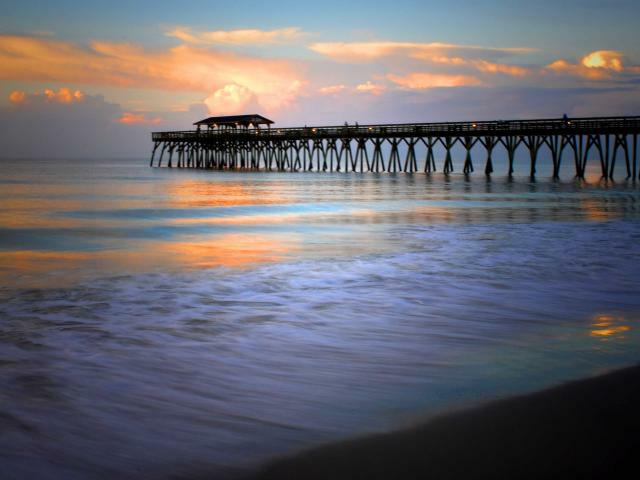 Carolina Beach, NC, and Myrtle Beach, SC, are the two contenders for the honors. (Check out the background history in the comments below under " RSS comments" and make up your own mind! The South is well-known for its "sweet tea," but did you know that South Carolina was the first place in the US where tea was grown, and the only location where it is still produced commercially? The tea produced there is the official tea of the White House. "Hopin' John" (black-eyed peas and rice) is found in most states of the South, but the dish is mainly associated with the Gullah culture of the Carolinas. "Grits" are as Southern as it gets when it comes to food staples. In fact, most of the grits sold in the US are from a belt of coastal states stretching from Louisiana to the Carolinas, known as the "Grits Belt." South Carolina now surpasses Georgia in peach production. The state calls itself, "The Tastier Peach State." Where did "the Shag" dance originate?